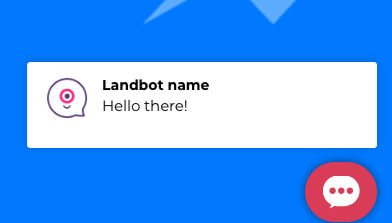 Popup.With this option, you will be able to display a modal, covering most of the visible screen with the Landbot. By default, the option is to launch the bot from the widget. However, it is also possible to create a custom button in your site, and let the user press at any time. Once is clicked it will pop up, covering most of the page.Here you can see a demo of how is implemented. 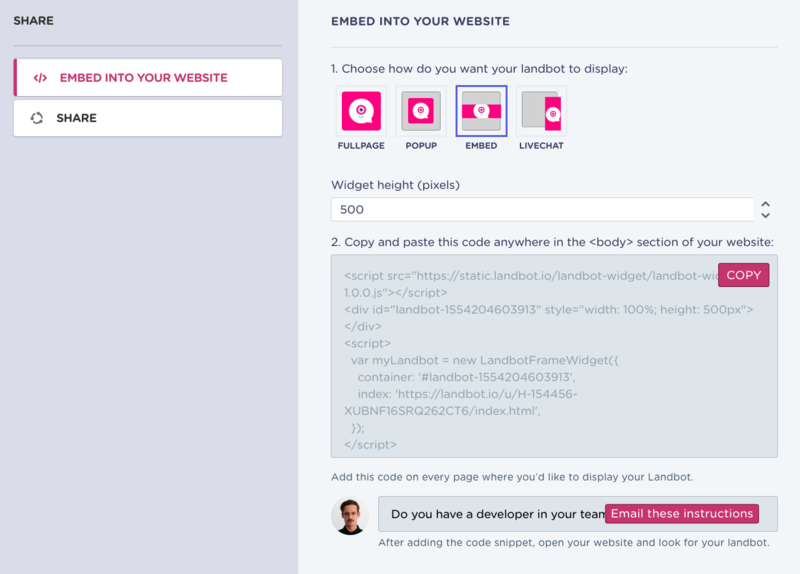 Embed.This is the most common option to add Landbot and display it as an iframe, it gives you more flexibility on the location of the bot. It also can be used to create great users experiences if it is communicates with the parent site with the help of our SDK. One good example of this usage is this one.